Are you fond of Word games then MAG Interactive have come up with one of the most dynamic and advanced wordgame of all time that is available on iTunes totally free of cost. So what are you waiting for? 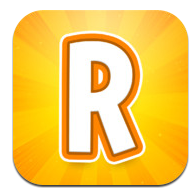 If you love making words and are very much fond of wordgames than download & install Ruzzle to unite with above 5 million players and feel the difference while playing Ruzzle! Ruzzle is a fun & fast-paced word game where you can confront your family & friends or even challenge a randomly chosen opponent in a word game and who so ever will find most words in 2 minutes will be declared as a winner. Your task while playing this game is to search for as many words as possible on a board by swipe gesture by your finger across & down on your device screen. The letters will only form into words if and only if they are connected to each other, users will also get some pleasant audio and animations which enhances the gameplay fun. There are in total of 3 rounds and the player with highest score in total will win. 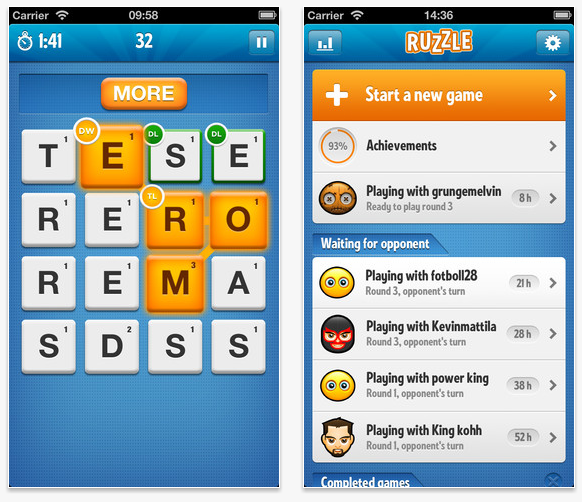 Letter scores, word length with bonus pieces will help you to score the maximum score as possible. 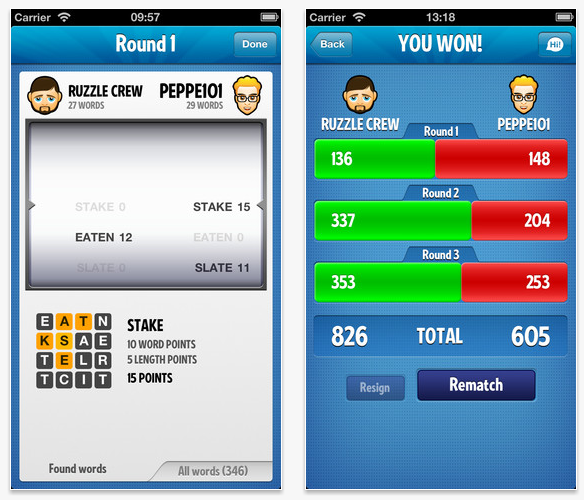 You can also practice offline, get ready and be prepared to challenge yourself and your friends in Ruzzle! This app is optimized for iPhone 5. This entry was posted on 07/01/2013, 5:30 PM and is filed under Free Games. You can follow any responses to this entry through RSS 2.0. You can leave a response, or trackback from your own site.